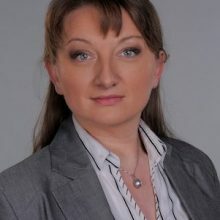 Denitsa Sacheva is Deputy Minister of Education and Science, Ministry of Education and Science. Ms. Sacheva has a master’s degree in public relations from the Faculty of Journalism and Mass Communication at the University of Sofia ‘St. Kliment Ohridski’ and a master’s degree in health management from Prof. Assen Zlatarov University, City of Burgas. She earned a bachelor’s degree in social pedagogy from South-West University ‘Neofit Rilski’, Town of Blagoevgrad. She began her career at the Ministry of Labor and Social Policy, where she held different positions – from a specialist to a head of sector at the National Center for Social Assistance. In 1999, she took the position of Head of the International Cooperation, European integration and Projects Directorate at the National Health Insurance Fund. In the period from 1999 until 2001 she was Head of the Cabinet of the Minister of Health, in charge of the relations with international institutions, the International Monetary Fund, the World Bank, and the European Commission. She served as Deputy Minister of Labor and Social Policy from 2016 to April 2017. She is proficient in English language and has working knowledge of German and Russian languages.